SGA’s planning team consists of two Professional Engineers, two Landscape Architects and a Planning Coordinator. There is a lot of creativity in planning and also having the knowledge of the zoning ordinances and codes helps us in optimizing land area for a particular use. We feel that our highly educated staff is a major factor when assuring a project will be completed as efficiently as possible. 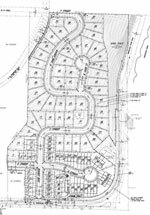 SGA’s Planning Services include Feasibilities, Pre-Applications, Preliminary Applications, Public Hearing Representation, Road Modifications and Variances for Projects including Short Plats, Single- Family and Townhome Subdivisions, Site Plans, Planned Unit Development and Commercial Projects. Beginning with a clients objectives and goals, SGA evaluates development requirements and existing conditions to prepare land use options that meet agency code and the clients needs. SGA has gained a reputation in the community for our innovative and creative designs.